This can take a while if you havn’t updated in a while or if you are running a fresh install of Raspbian. Now we will install the “apt-transport-https” package since we will be downloading the Plex Server from an unofficial source which has a HTTPS address. The “apt-transport-https” package will allow us to download from HTTPS sources. That’s basiclly it. The Plex Server will now start in the background and will run every time you reboot your Raspberry Pi Server. Let’s do a reboot on the Raspberry Pi to verify that our Plex Server starts and to complete the install. 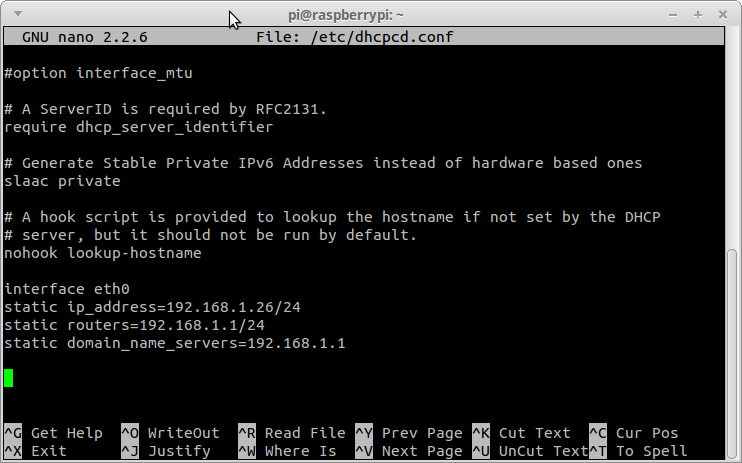 Below are the steps for setting up a static IP for your Raspberry Pi which is running Raspbian. You can check out my full post here for setting up a static IP on the Raspberry Pi running Raspbian. Now simply hit CTRL+X then Y and ENTER to save the file. Now just do a reboot and your should be good to go. I will be uploading my media files onto my Raspberry Pi over SFTP. Depending on how big your Raspberry Pi SD Card is will depend on how much storage space you will have. You can also attach a FAT32 formatted USB hard drive of USB flash drive for more space. 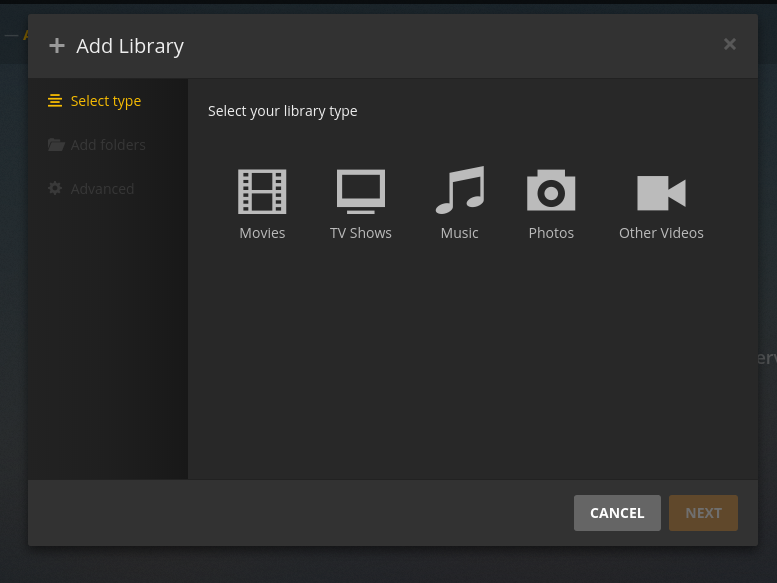 The Plex Server will ask if you would like to sign in assuming you already have a Plex Account, clicking on “What this” on the bottom right of the screen will allow you to skip signing in using your Plex Account. 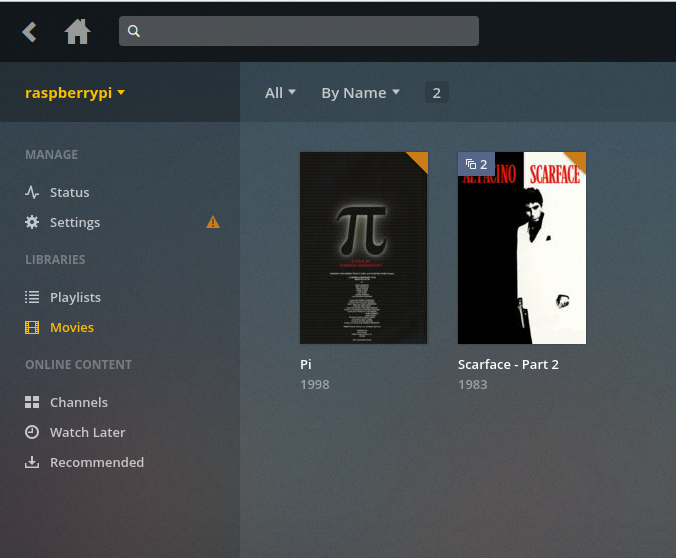 You should now be on your Raspberry Pi’s Plex Server Home Screen. Now select the Library type, I will be selecting ‘Movies‘ and then hit ‘Next‘. 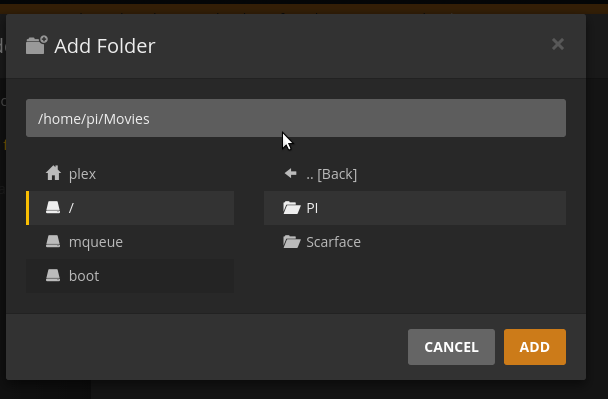 Now click on the ‘Browse for Media Folder’ and select your folder where the Movies or TV Shows are stored. Click ‘Add‘ and then ‘Add Library‘. 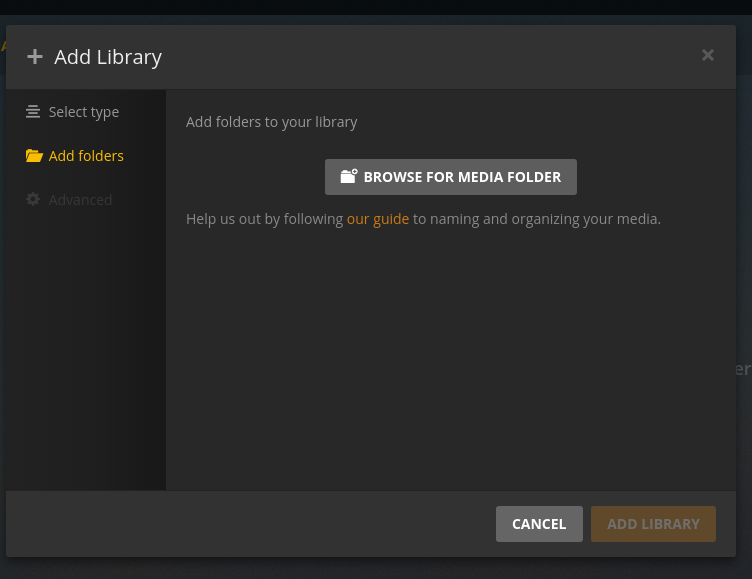 Your Plex Server will now add all your media and automatically try to download the metadata for your Movies or TV Shows. It will download the Covers and Descriptions of the Media without you having to do anything on your own. As you can see it automatically added my 2 Movies as well as downloaded the Cover Art and Media Descriptions. You can now use your web browser to watch your media on any device in the house. You can also setup Plex to be able to watch your media on the Go. If you have any questions or comments please leave them down below. I have installed PLEX on my pi jessie, PLEX service show it has started but i am unabl able to access the web interface!! I was able to get a Plex server up and running with a RaspberryPi 2. Only addition: In order to get everything working with an external hard drive, I had to search for more information on mounting said drive to the pi. Without the mounting steps, Plex could not search the drive even though it saw it was there. The list of sources could not be read ..